1. 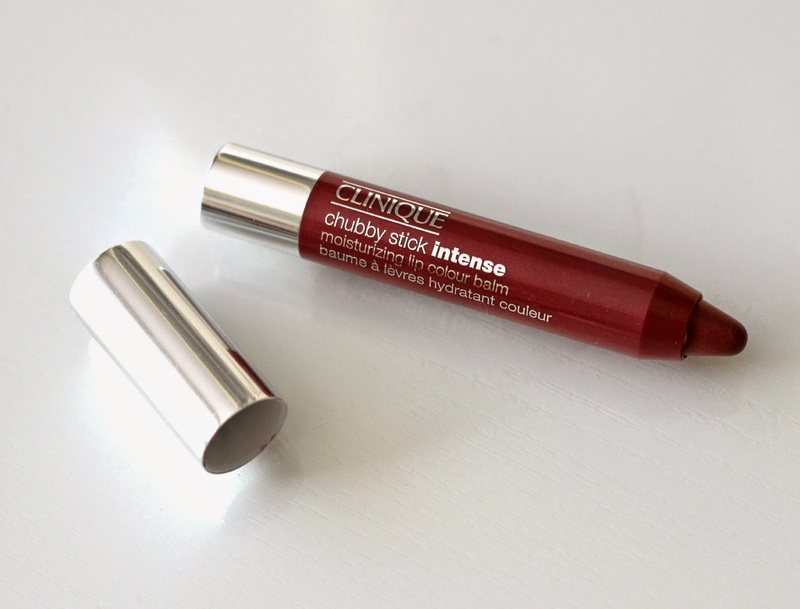 Clinique Chubby Stick Intense Moisturizing Lip Colour Balm in Broadest Berry - Talk about the perfect dark lip shade! Seems everyone is rocking bold lip colours during this time of the year, and I am definitely one to experiment with them too. I love that it's an actual lip balm so it doesn't dry out my lips, but it also has a much longer staying power than other tinted lip products I have tried. On days when I don't want my lips to be the center of attention, I will just dab a small layer on, and when I feel like being more adventurous with my makeup, I will be more generous with my application. 2. 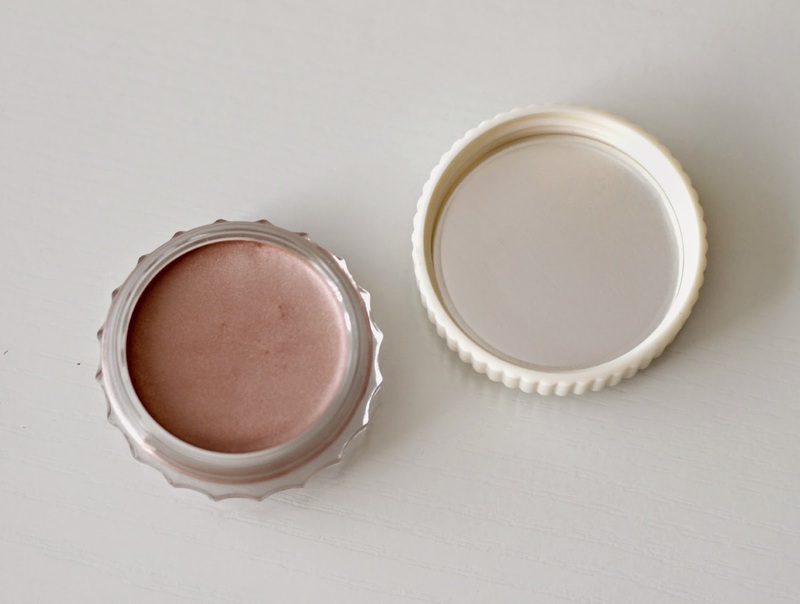 Benefit Creaseless Cream Shadow in R.S.V.P. - A staple shade in my opinion - it can be worn all over the lid for an even wash of colour, and I also like to blend it with darker shades in my crease to create a pretty, smokey effect. 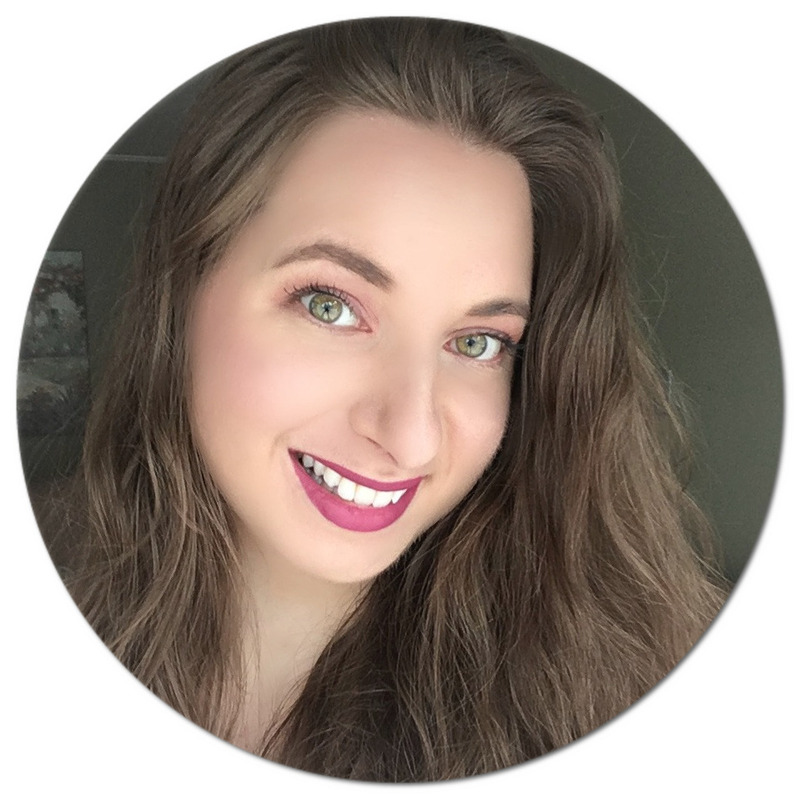 On days when I am racing out the door, I will quickly apply some of the eye shadow with my finger and add a coat of mascara, and doing just that makes me go from looking like I just rolled out of bed to awake and ready to tackle the day! 3. 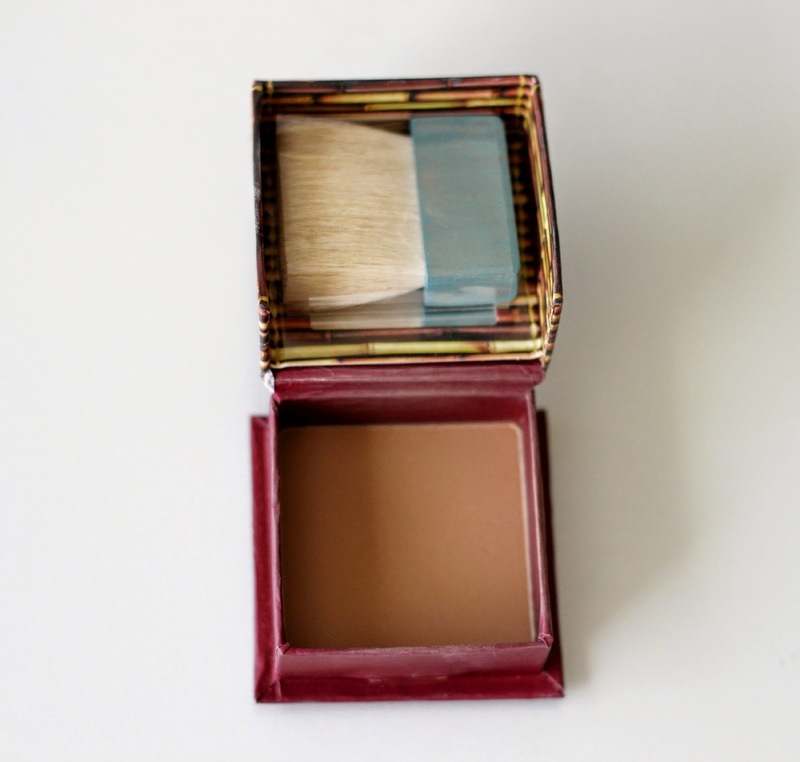 Benefit Hoola Bronzing Powder (reviewed here) - An oldie but a goodie! I tend to reach for matte bronzers when the weather starts to cool off. This one is my go-to for either bronzing or contouring since it layers very nicely, so if you just want to add a little extra wash of colour to give your face more dimension or are aiming to achieve extra sculpted cheekbones, this one will provide beautiful results - without making you look orangey or muddy! 4. 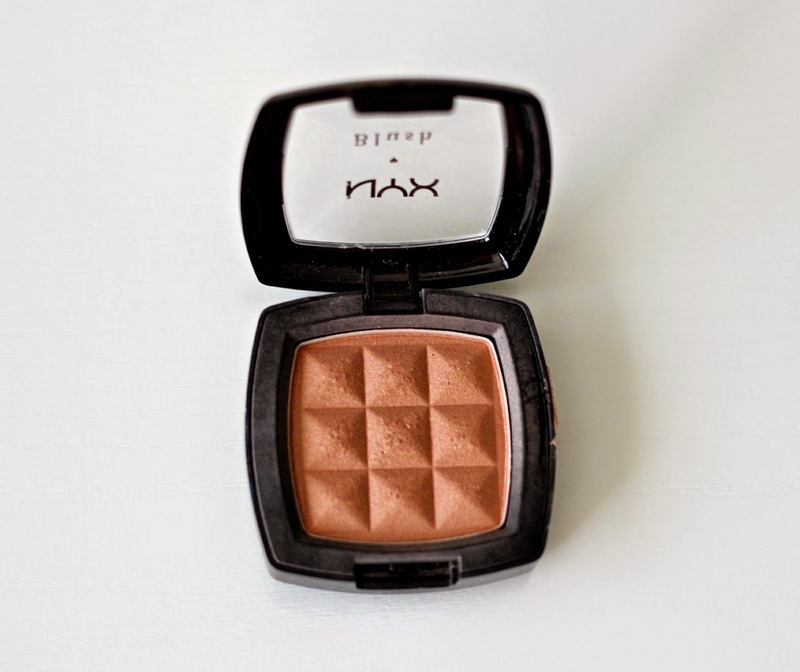 NYX Powder Blush in Terra Cotta (reviewed here) - A super pretty, subtle bronze shade verging on slightly peachy on the skin, for when I feel like adding a bit more sheen to my cheeks. It isn't extremely pigmented which is how I prefer my blushes. I've also been loving wearing it as an eye shadow. It's a few shades darker than Benefit's R.S.V.P., but still very wearable. These are just a few of my go-to products that I thought were worth sharing! I hope this gives you a bit of inspiration to try something new, even if it means stepping out of your comfort zone! Makeup is all about being creative, after all, and being a little more daring once in a while is just part of the fun! Have you tried any of these makeup items? Which one would you be keen on trying? Great colors for fall! Thank you for stopping by and linking up at the TGIF HOP! 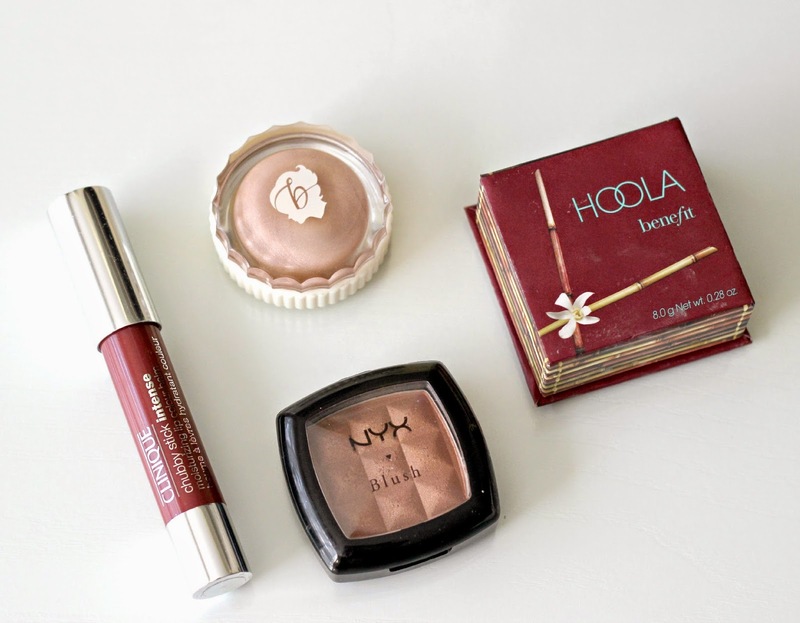 I love the hoola bronzer and that benefit cream shadow looks really pretty. Woah, Broadest Berry is gorgeous!!! I definitely need to check that shade out because I've been wanting a good berry tinted lip balm/colour for myself, since full on mattes are quite intimidating (and drying), ya know?